Ranbir Kapoor starrer 'Sanju' has been winning accolades for the phenomenal performances put up by all the characters. It's not only Ranbir or Vicky Kaushal who are being praised by the audience but its Paresh Rawal as the main man Sunil Dutt who has won the hearts of many. But, looks like Sanjay's youngest sister Namrata Dutt couldn't connect with Paresh and her reason is thoroughly justified. In an interview with SpotBoyE, when asked about Paresh Rawal's performance, she said, "I can't see anyone portraying my father. He was special. Not that I didn't like him. I didn't connect, but I'm not the audience. I'm Sunil Dutt's daughter". Namrata had a similar opinion about Manisha Koirala playing her mother Nargis role as well. About this she stated, "She was okay too. Being Sunil Dutt and Nargis' daughter, it's difficult to make judgments. If the audience connected with them, it's great!" About the movie, she expressed, "Yes, I liked it but being a family member who is so closely connected, it would be difficult for me to comment on it. I underwent everything with Sanjay. But yes, Ranbir was very good and the film is entertaining". 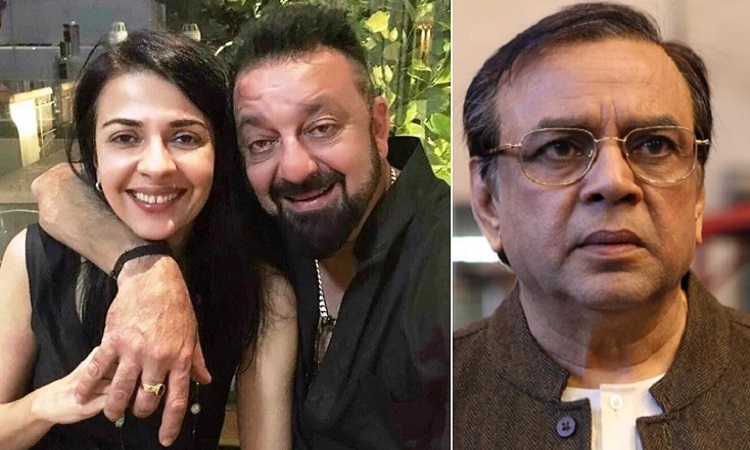 Speaking of watching the scene about the nerve wrecking drug addiction phase of her brother Sanjay Dutt on the silver screens, she expressed, "The drug phase. Hard time, especially for my father. Of course, for Sanju too, and he is a fighter for sure. He had the guts to give up this addiction, with no relapse. It wasn't easy. His jail phase without frills to go through that without losing was enormously tough".